(King of Punjabi rap - Pioneer of Desi Hip-Hop - Music Producer) Ra Raja aka Bohemia is a Punjabi Rapper and Music Producer from California , USA. Bohemia quickly gained popularity in 2002 with his independent debut album, ‘Vich Pardesan De’ which hit the Top Ten on BBC Radio 1 UK. The following album, ‘Pesa Nasha Pyar’, became the first full-length Punjabi-Rap album released by a major label in the history. It brought Bohemia increased popularity, including his recent multi-record deal with music mogul Universal Music Group Pvt. Ltd. India. It also brought his creation of Punjabi Rap to mainstream recognition making Bohemia known as pioneer of a new genre of music: Desi-Hip-Hop. In 2006 ‘Pesa Nasha Pyar’ hits No.2 on Maxim Magazine’s Top10 Downloads, and No.3 on Planet M Chart. Bohemia appears in XXL Magazine New York, USA. He enters Bollywood in 2009 with the title track for Warner Bros. feature film Chandni Chowk to China, in which he also appeared in the video with Akshay Kumar and Deepika Padukone. In 2010, ‘Da Rap Star’, his third album receives four nominations at the UK Asian Music Awards and PTC Punjabi Music Awards, including ‘Best Punjabi Album’ and ‘Best Music Director’. ‘Da Rap Star’ also remains No. 1 on Planet M Chart Punjabi for several weeks. Bohemia then went on touring in summer 2009. He recently appeared on the title track of UMG’s mega-compilation called ‘The best of the best Sher-e-Punjab', titled ‘Putt Punjabi’, on February, 2010. 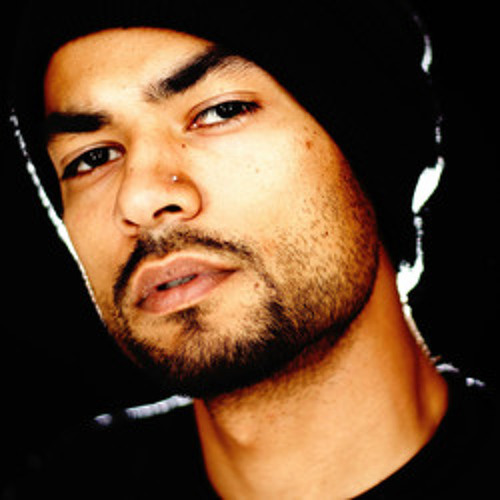 Bohemia is one of the best-selling artists of the year, making him the flagship artist of Universal Music Group India. Bohemia was ranked 25th on Desiclub.com’s list of the 50 Coolist Desis. “Ek Tera Pyar”, his second single from ‘Da Rap Star’ entered the B4U Top Ten Chart, becoming the first none film track to do so. Bohemia was amongst the top 100 most searched Asian artists on yahoo.com. He has released three albums and has been featured on over 25 major label compilations to date. DISCOGRAPHY "Vich Pardesan De" | Independent 2003 Bohemia's first album, Vich Pardesan De (In The Foreign Land), was released independently in 2003 and was soon among the Top 10 most requested on BBC Radio1 in the UK. "Pesa Nasha Pyar" | UMG 2006 His next album, Pesa Nasha Pyar (Money Addiction Love), was released in 2006 under Universal Music Group India Pvt. Ltd. and Bally Sagoo's Ishq Records, UK making it the first ever full-length Punjabi Rap album to be released by a major label in the world. PNP hit #6 on the Radio Mirchi Chart India. "Da Rap Star" | 2009 After having burnt up music charts with his Bollywood songs, Bohemia's highly awaited album Da Rap Star has finally released (Universal Music Group, April 2009). Da Rap Star, written and produced entirely by Bohemia hit #1 on Planet M/Music World Chart in Punjab, and #7 on B4U Chart India. BOLLYWOOD FILMS "Chandni Chowk to China" Warner Bros. Sippy Ent. 2009 Directer Nikhil Advani. Staring Akshay Kumar & Deepika Padukone. Bohemia wrote and produced the title track for Warner Bros. Chandni Chowk to China (Hindi: चाँदनी चौक टू चाईना, Urdu: چاندنی چوک ٹو چائنا) is a Hindi film which released on 16 January 2009. The film is directed by Nikhil Advani and stars Akshay Kumar and Deepika Padukone. "8 x 10 Tasveer" Percept Picture Company 2009 Directer Nagesh Kukunoo. starring Julian S. Low, Akshay Kumar, Sharmila Tagore & Javed Jaffrey. Akshay teams up with Bohemia for a song in 8 x 10 Tasveer. Navin Shah, CEO of Percept Picture Company, says, "...Bohemia is a very popular rap artist and we are very happy that he has given his music for our film. "'8x10 Tasveer' starring Julian S. Low, Akshay Kumar, Ayesha Takia, Sharmila Tagore, Javed Jaffrey, and Anant Mahadevan is directed by Nagesh Kukunoo.